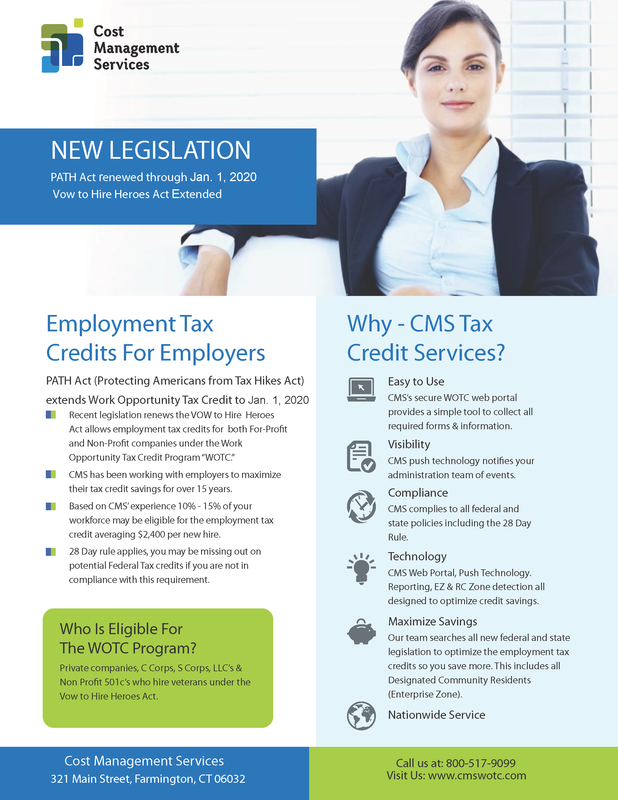 Whether you’re a current customer, potential customer, or just looking, sign up for CMS’s monthly Work Opportunity Tax Credit newsletter to stay informed of the latest updates, WOTC news, and available training. The WOTC Newsletter from CMS is monthly on the first Friday of each month. This entry was posted in WOTC News and tagged news, newsletter, Work Opportunity Tax Credit, WOTC. Bookmark the permalink.